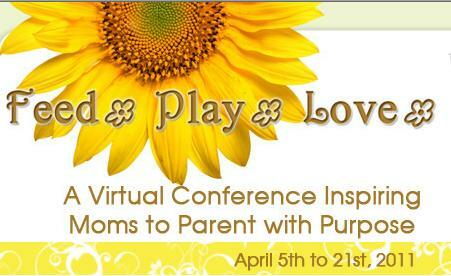 Wow.......The Feed Play Love virtual conference was inspiring! I am so grateful to Kiva Leatherman of the Wise Woman Network and Donna Ashton of the Waldorf Connection for putting this incredible conference together. I am still in shock that the entire event was FREE!! It was jam packed with three weeks of amazing speakers who have truly changed the way I think about parenting. I so enjoyed the quiet evenings of folding laundry, sipping wine and listening to all they had to say. I learned so much and S has also really enjoyed all that I have shared with him thus far. I cannot say enough good things about it. Thank you, Thank you, Thank you to Kiva and Donna!! Dr. Gaeta focuses his work on natual health and accupuncture. This session was all about simplifying our children's diet and he talked about the importance of whole foods, removing processed foods, simplifying choices, cutting back on sugars and consuming raw dairy products. You can go to his website and if you click on the radio microphone on the top right corner, you can find all the archives of his past radio shows. There are so many topics and lots of them about eating whole foods (he even has a few shows with my hero, Kim John Payne !). This session opened my eyes and has helped me to better understand and relate to both my son and husband. I bought Janet Allison's book and can't wait for it to arrive. She spoke about how men (especially boys) take much longer to process information than women and how important it is to simplify our language and give them adequate processing time. She had so many tips and suggestions of ways to deal with our young boys to help them be successful, strong and caring men. Daria Boissanas is a healer and she spoke about the 7 principals of Awakening (all are listed on her website). The thing that most struck me about this session was what she said about everyone having a gift to share with the world. Our gift may be a skill, talent or something much more subtle but it is up to us to help our children (and ourselves) find their gifts and help them to figure out ways to share it with others. She is far more eloquent than I and I encourage you to go to her website and read more. This was a very powerful session for me. Dr. Christine Carter is a sociologist at UC Berkeley's Greater Good Science Center. This session was AMAZING and inspired me to buy her book (all based on science!!). The session was about the power of gratitude, empathy and raising happy children. She had some wonderful tips and suggestions for "happiness habits" that can be easily incorporated into your own daily routines. These habits of gratitude help us all live a more fufiling and happy life. I have started her book on my kindle and love it so far! This session really hit home for me and I have already started to make change and bought the book. Mr. Bowen said that the average person complains 20-30 times a day!!! He encourages people to wear a rubber band on their hand and everytime they catch themselves complaining, switch it to the other side. The goal is to have 21 complaint free days in a row and this takes about 8-10 months. I have yet to make it through one day :( Mr. Bowen talked about the fact that nothing good can come of complaining and it is up to us to teach our children and model for them a more positive way of thinking and speaking. One quote from Mr. Bowen that I loved was, "You want the world to be a better place? It starts with your interactions with your child". I'm wondering if the reason that my girl whines all the time is because she picks up complaining from me. I don't think I do it alot but I need to pay more attention. I have 3 windows open now to check out stuff you talked about. THANK YOU!